June | 2013 | Why a librarian? These are three books, all in the same serious. 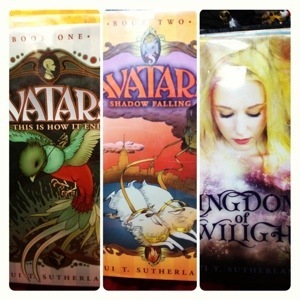 I feel bad for any male teen that enjoyed book 1 and 2 when book 3 has such hideous artwork. Why do publishers do this? Okay I know why – to sell books. But it feels like the third book is not even part of the series and the cover is a blatant attempt to tap into the ya fantasy for girls market. Sometimes cover art changes for a new edition and that’s fine. Usually they can update it, make it more appealing. But when I see books like this, I feel bad for the author and readers.